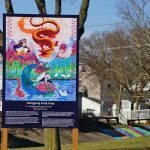 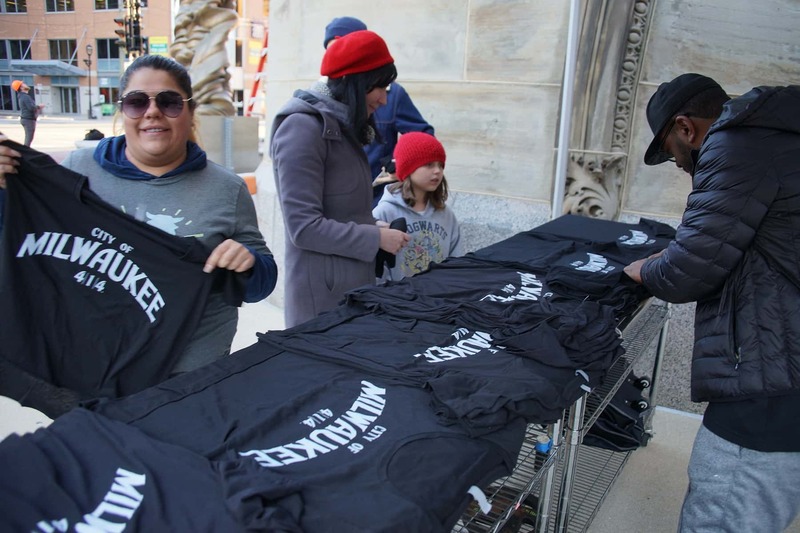 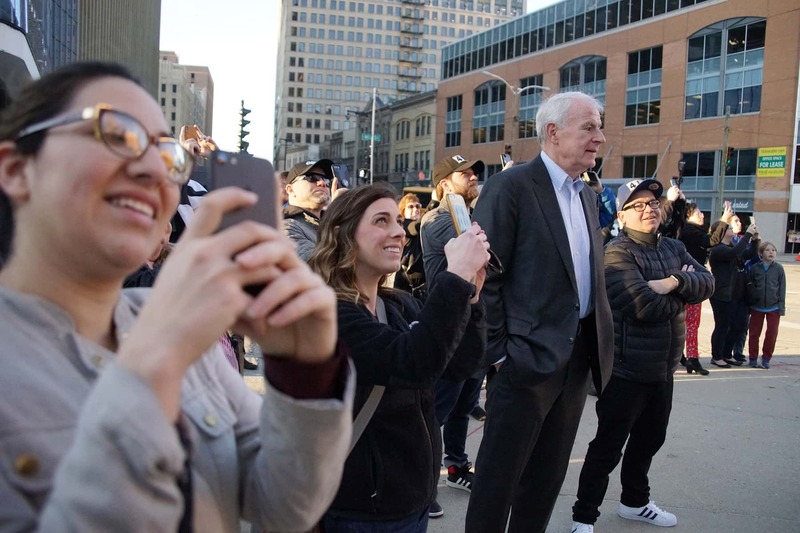 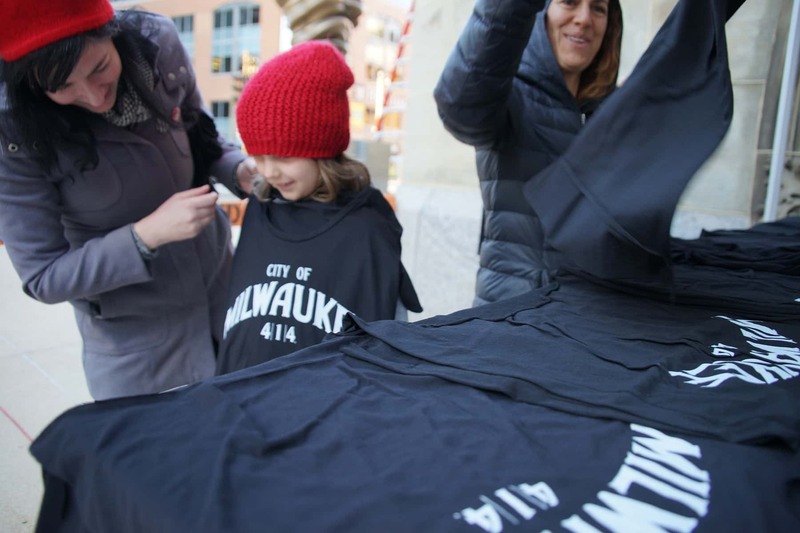 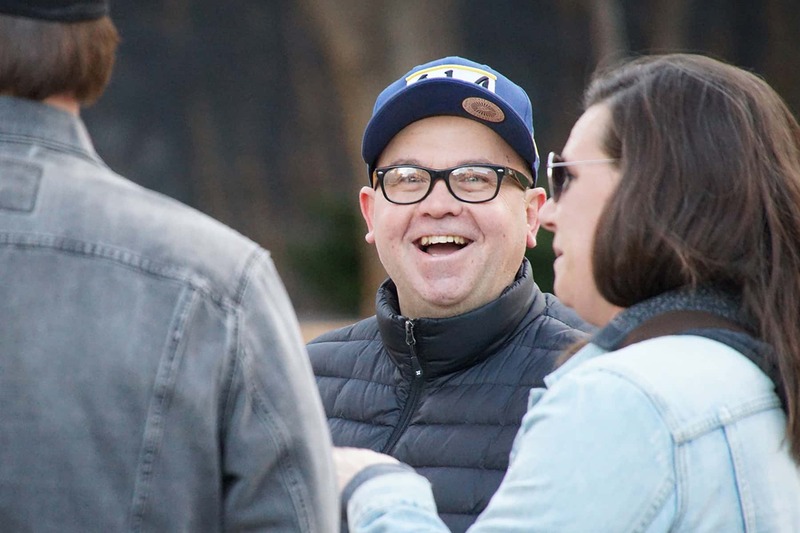 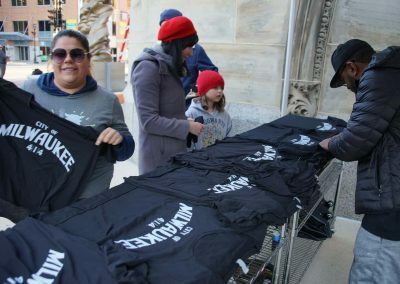 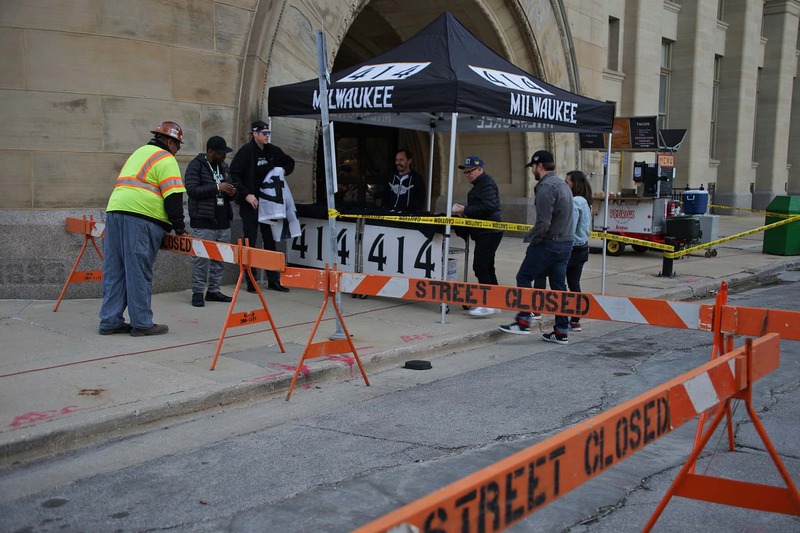 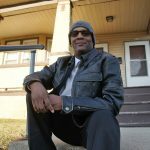 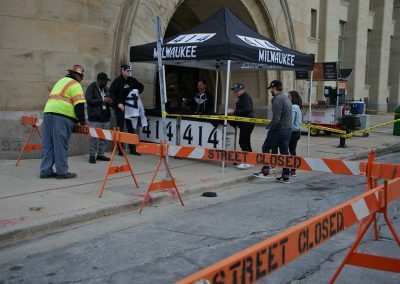 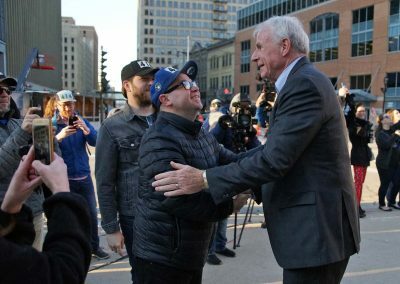 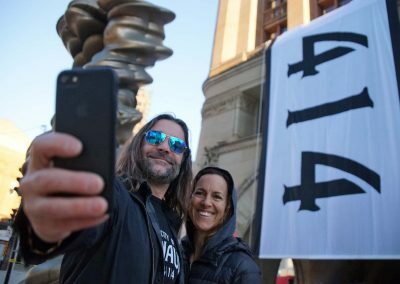 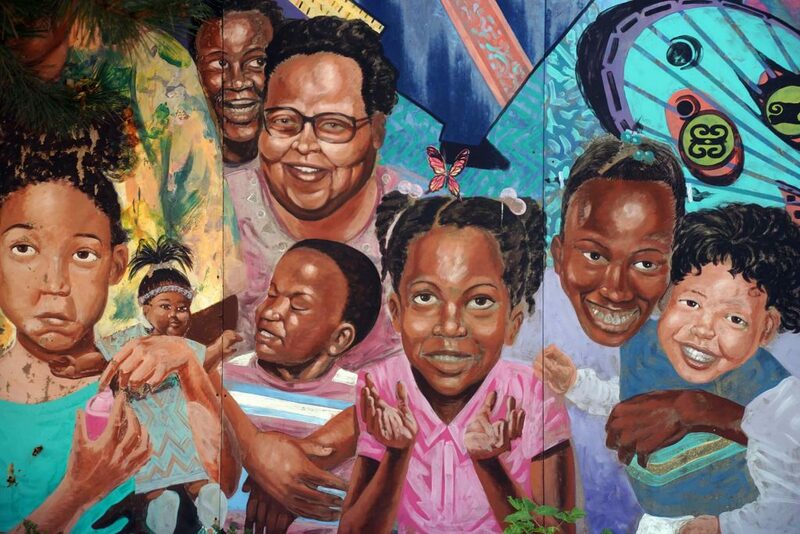 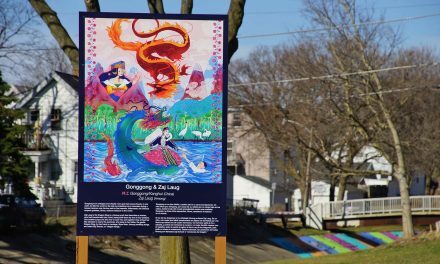 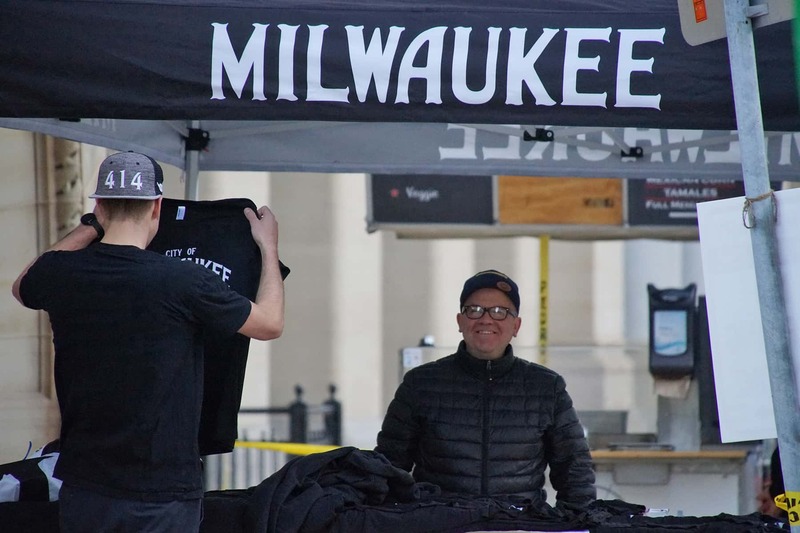 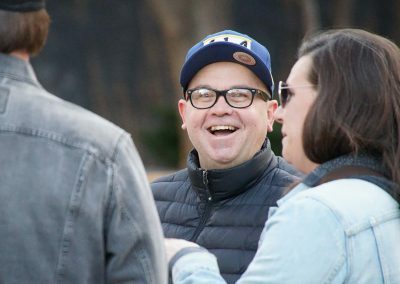 On April 14, or 4/14 after Milwaukee’s 414 area code, residents of the city celebrate its people, places, and history with a unique spirit of pride. 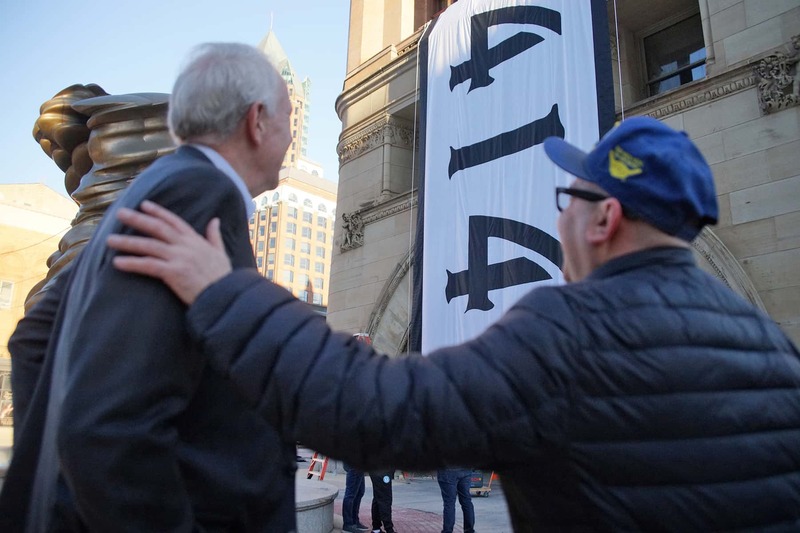 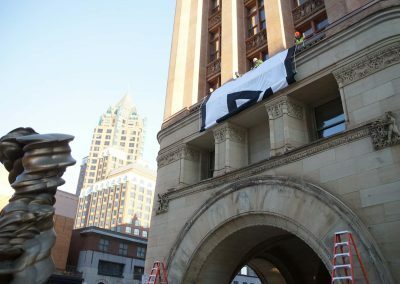 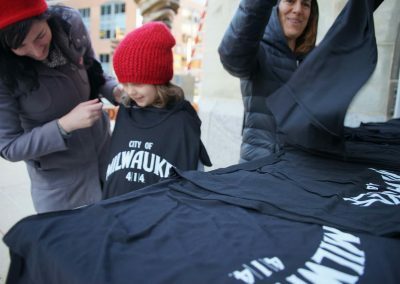 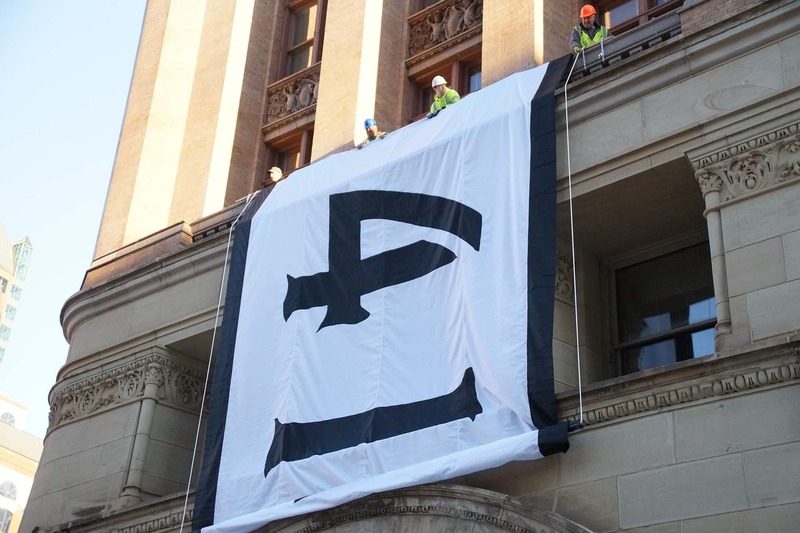 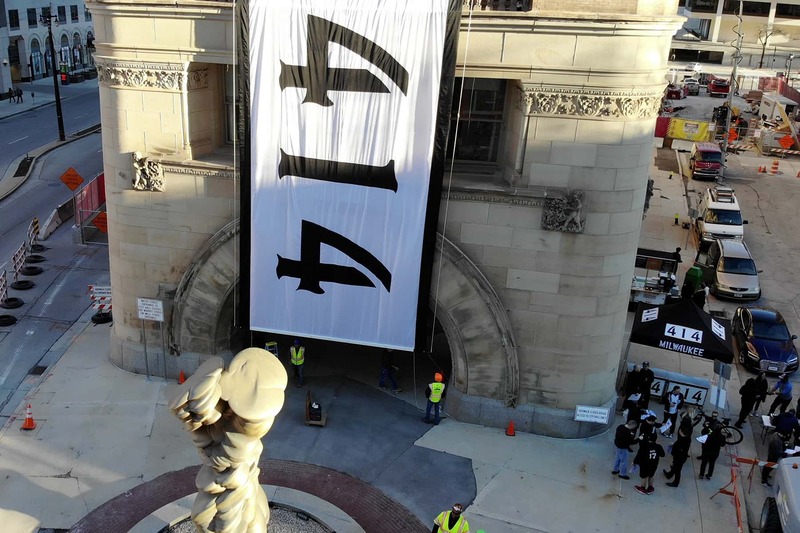 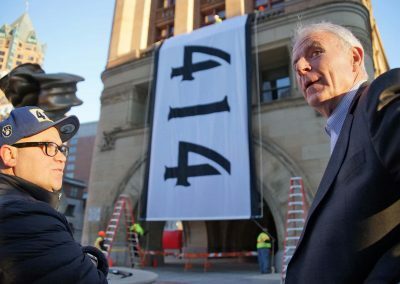 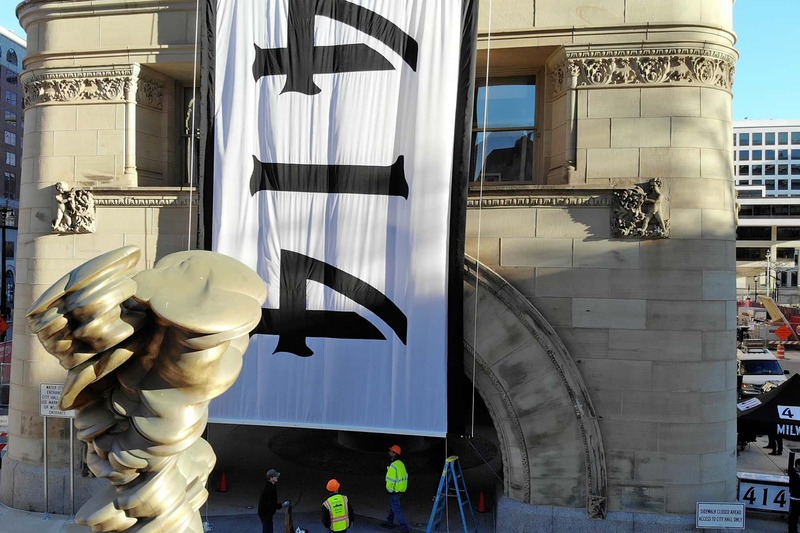 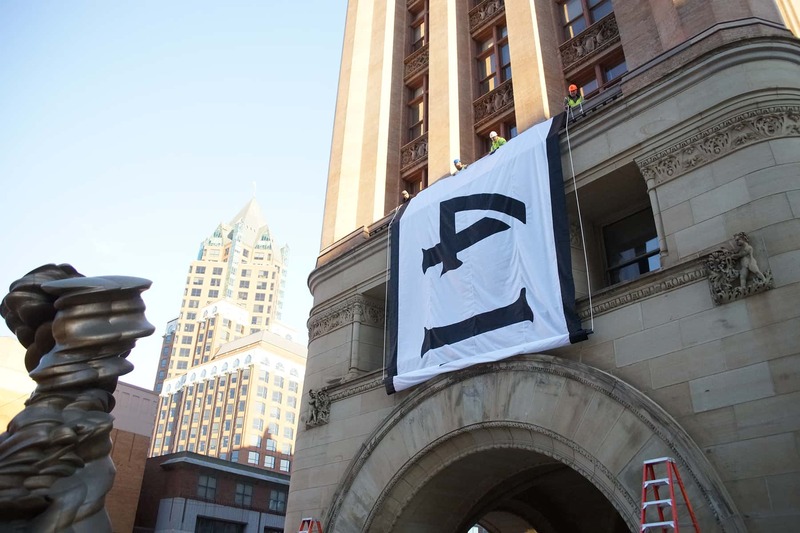 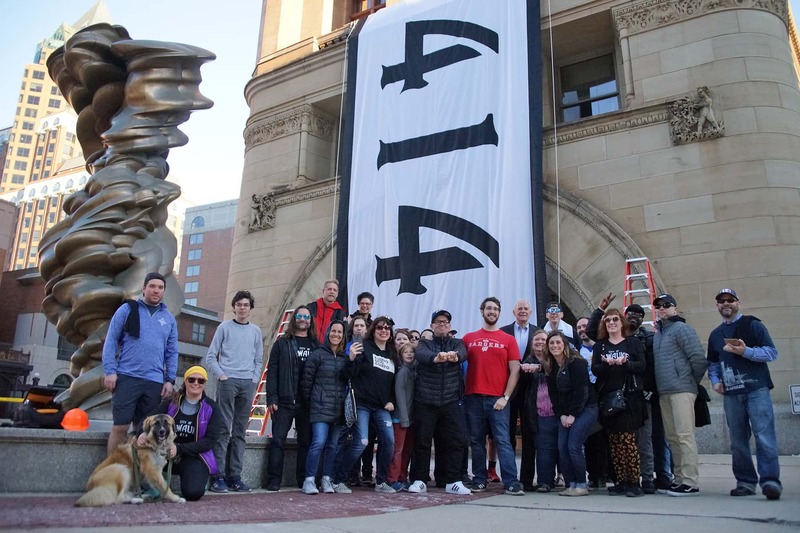 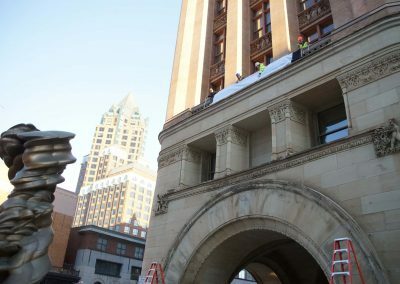 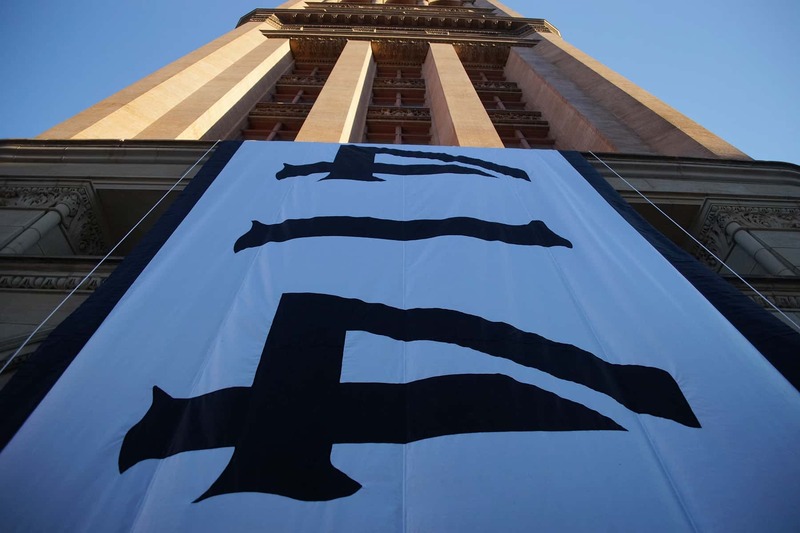 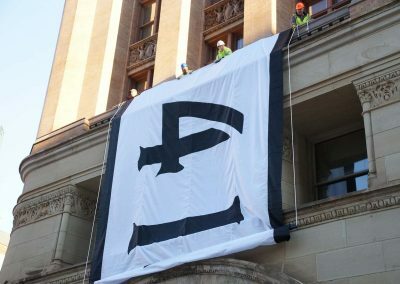 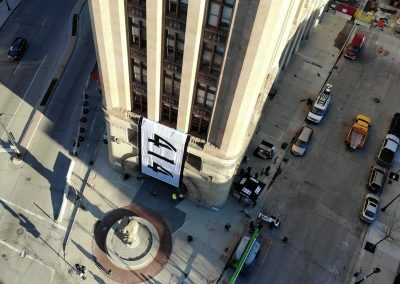 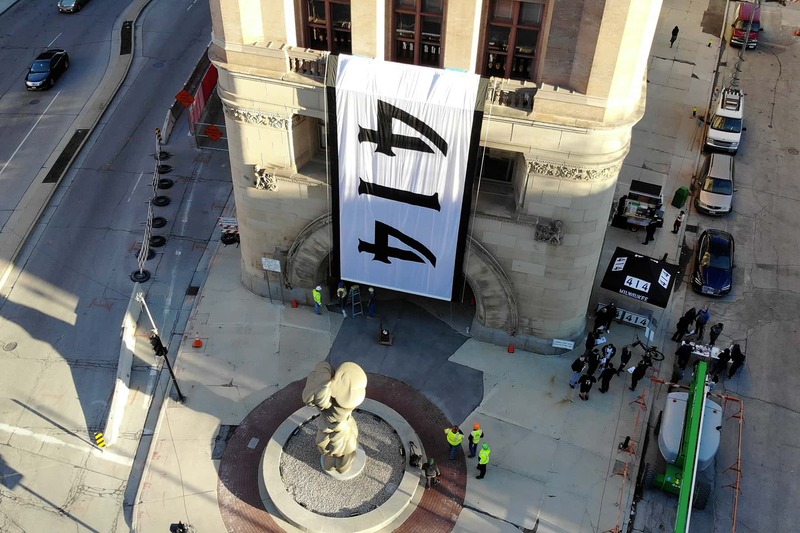 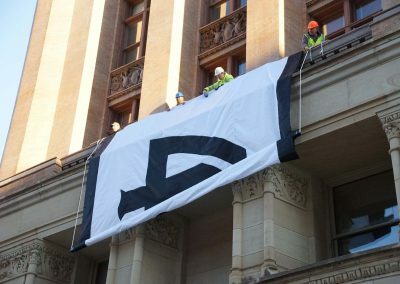 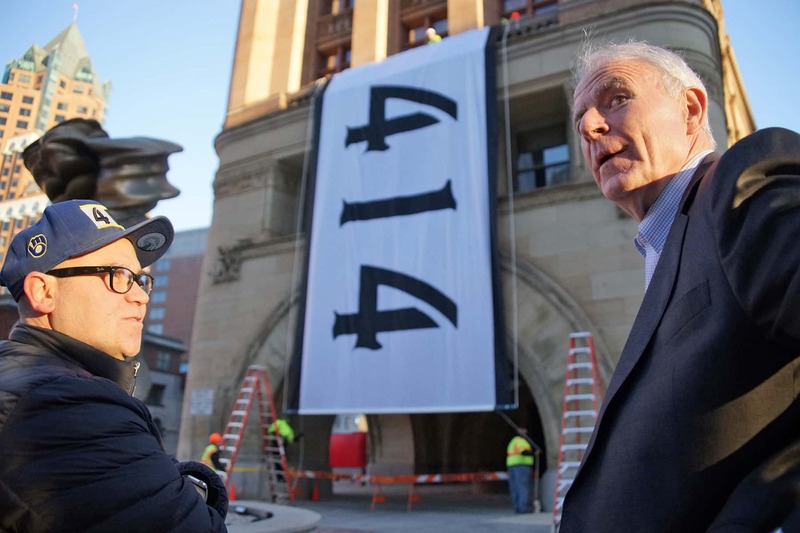 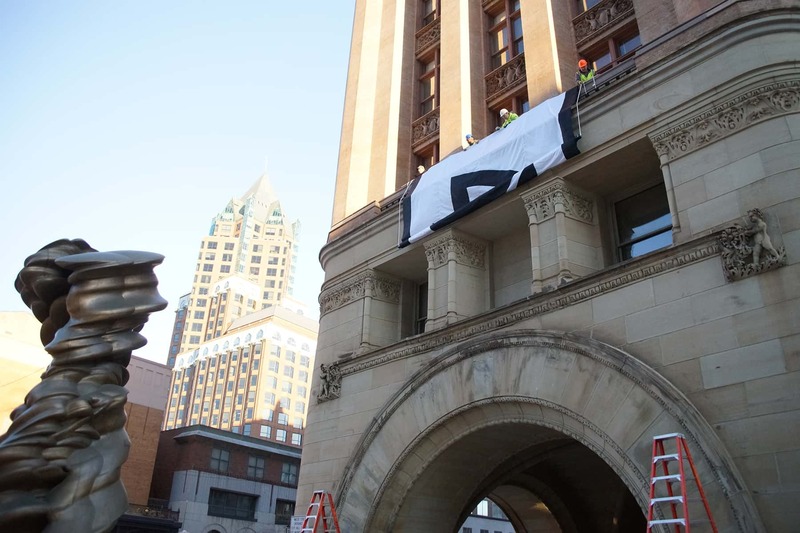 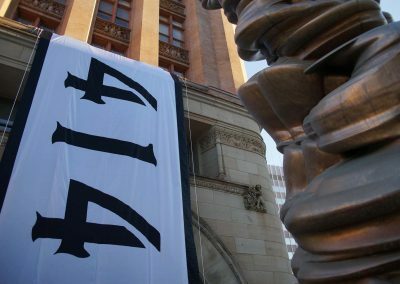 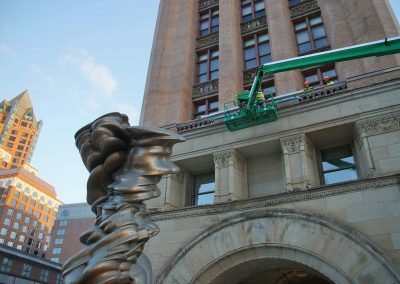 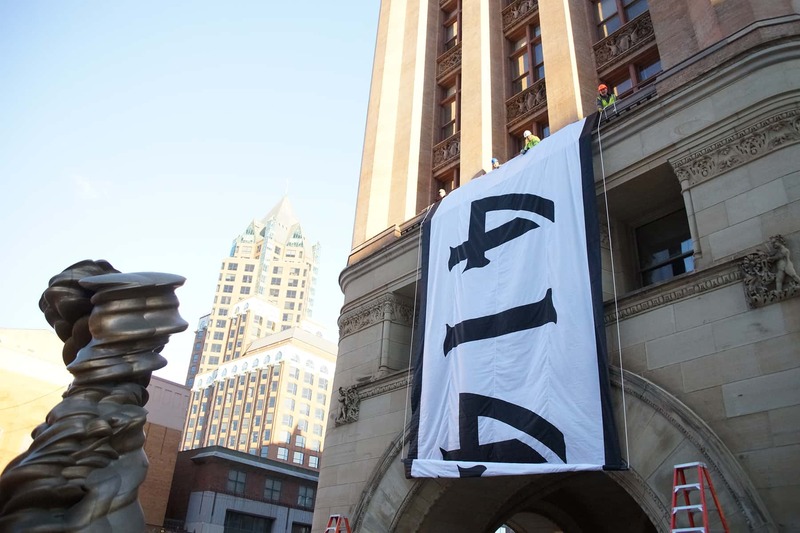 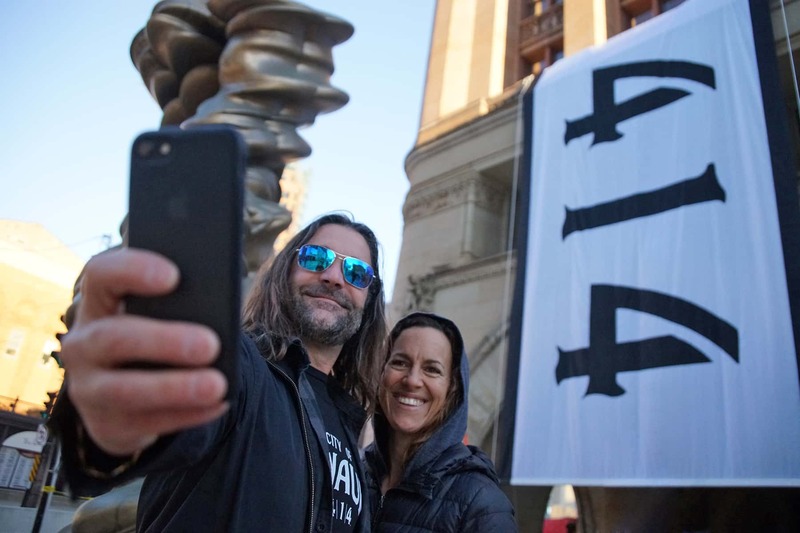 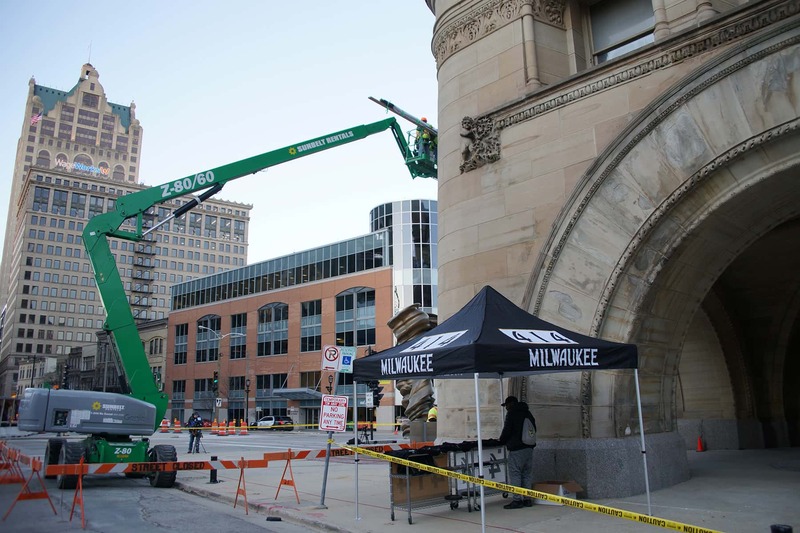 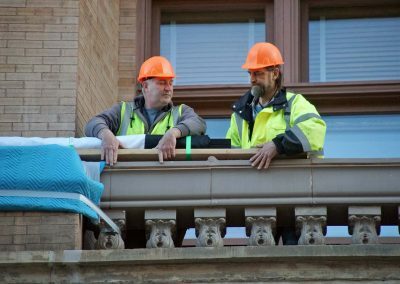 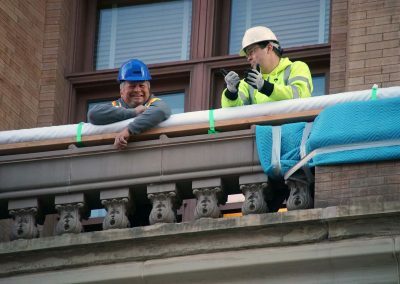 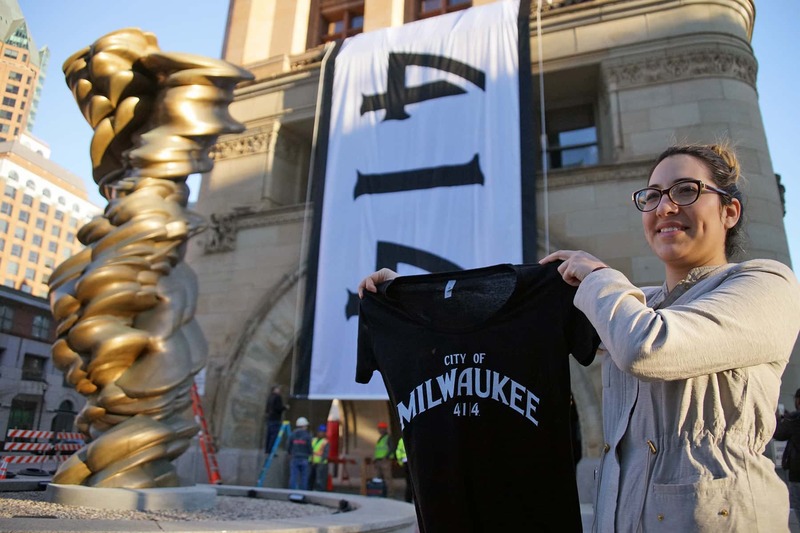 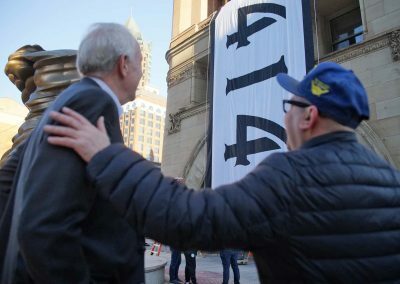 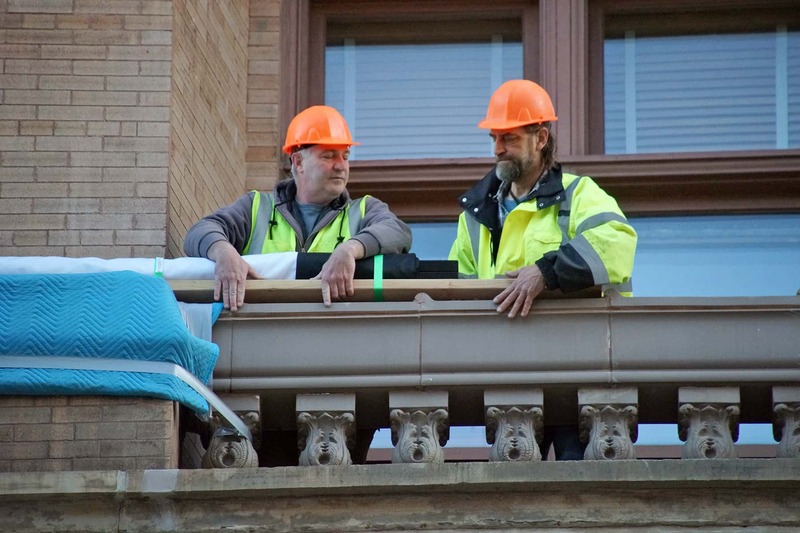 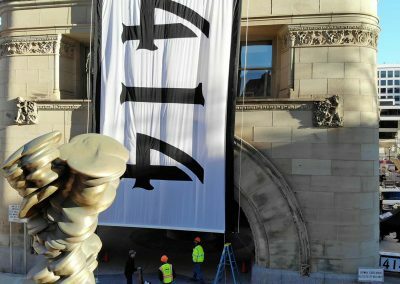 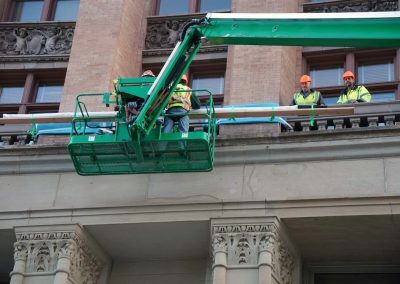 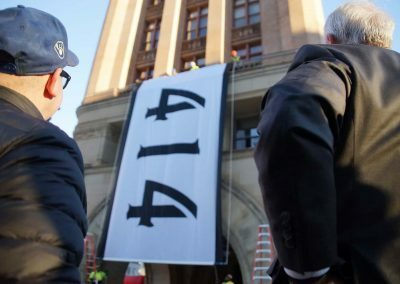 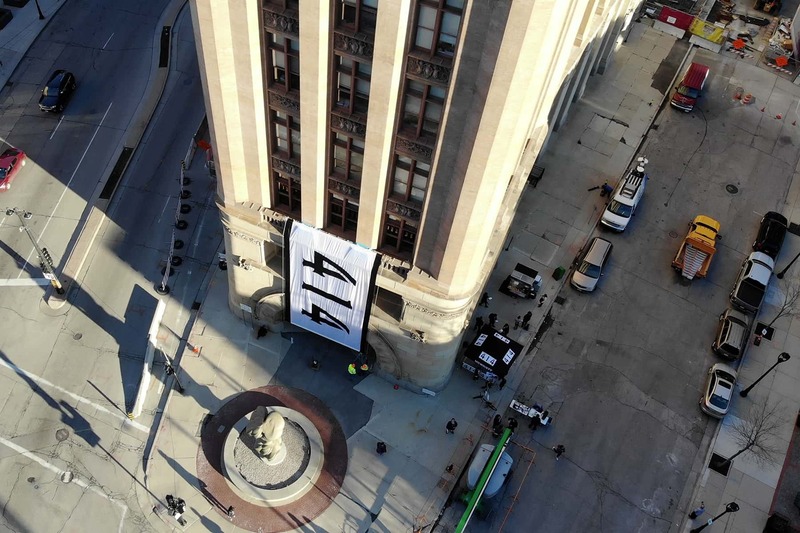 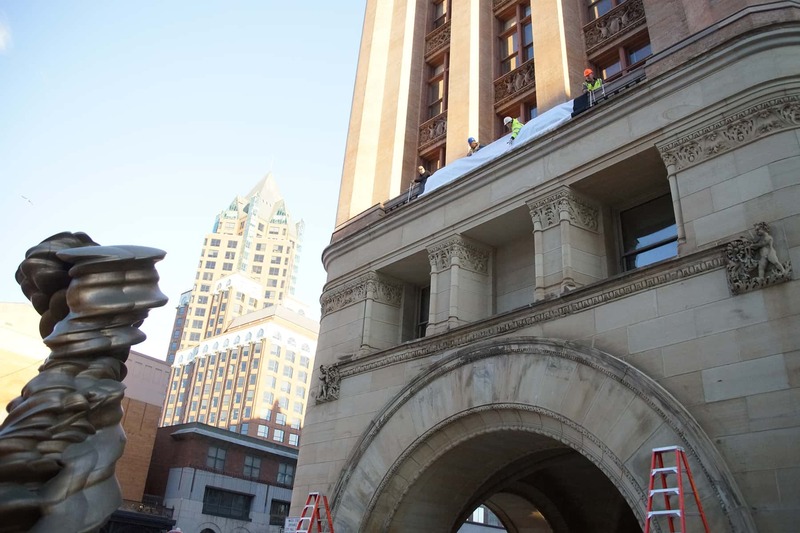 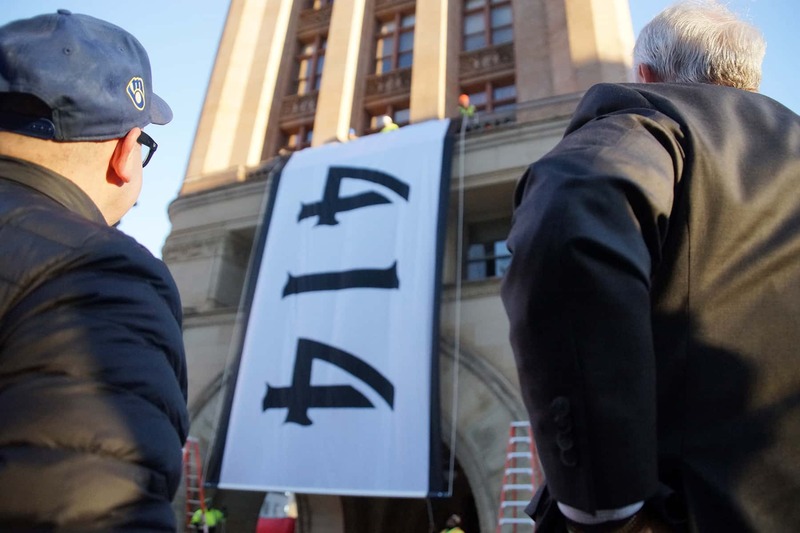 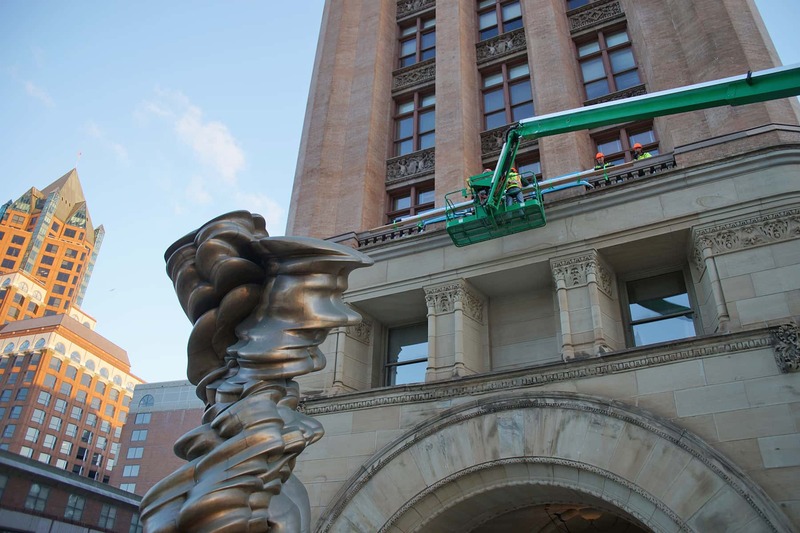 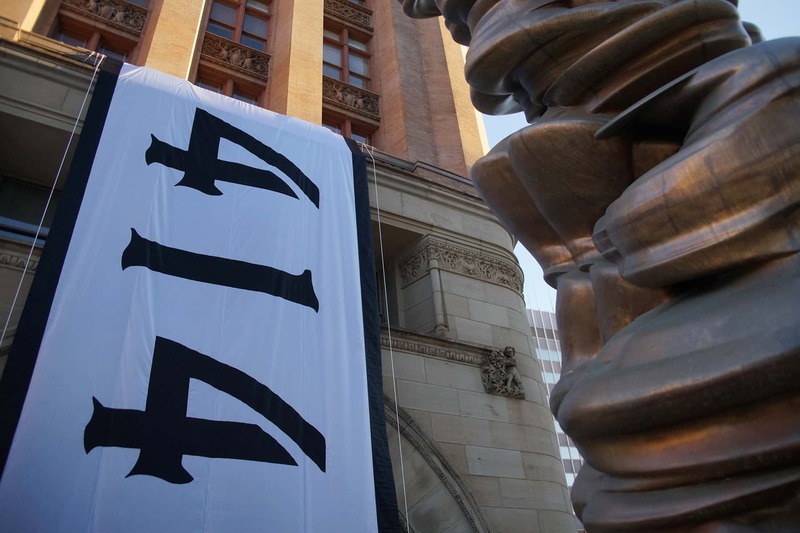 The 414 Milwaukee group got permission to unfurl a giant 414 Flag from the balcony of City Hall. 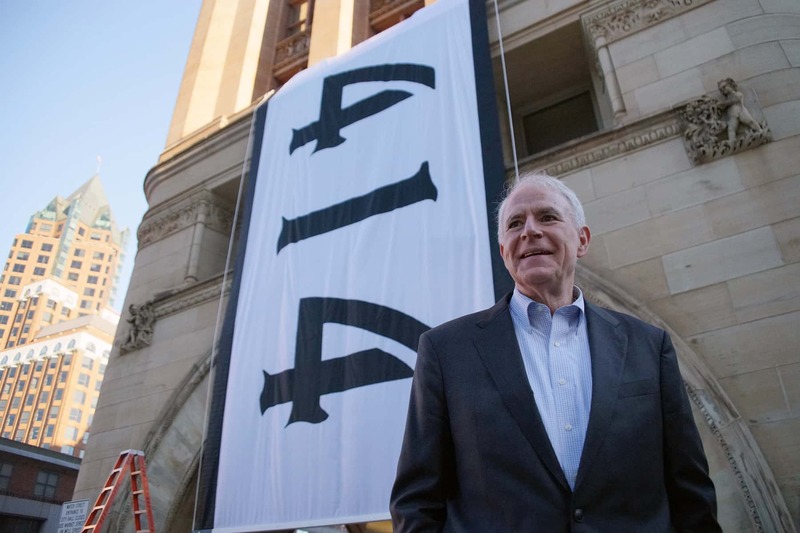 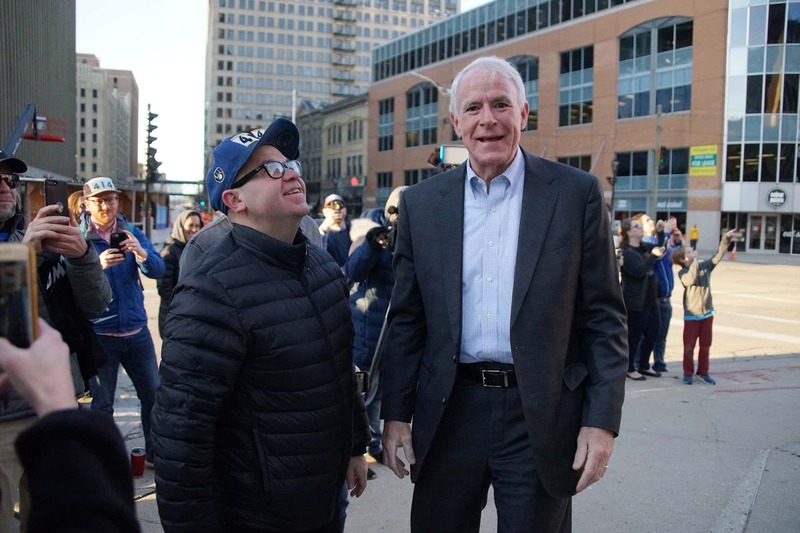 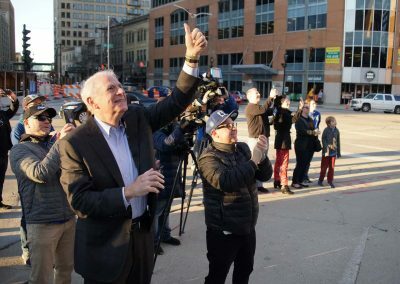 Mayor Tom Barrett, city employees, and members of the public attended the early morning installation. 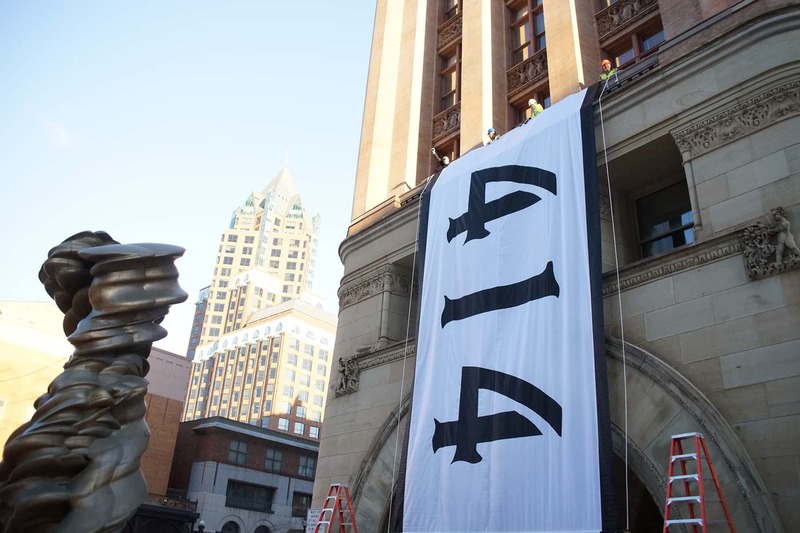 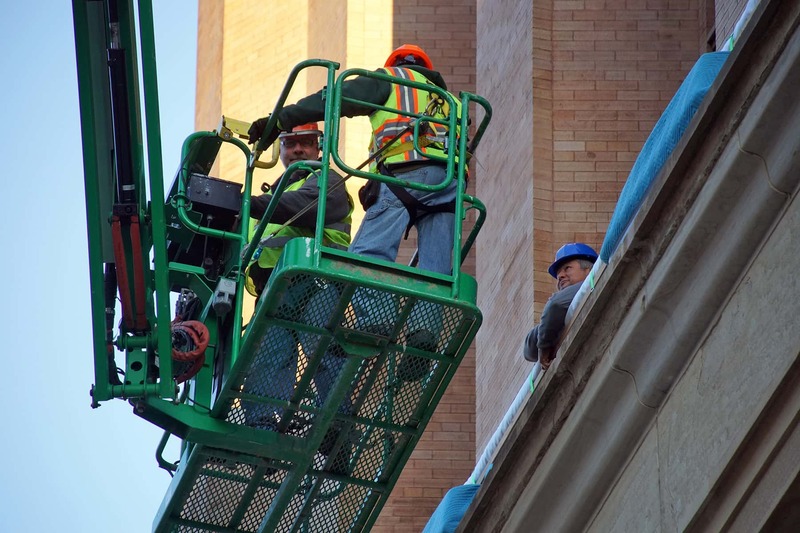 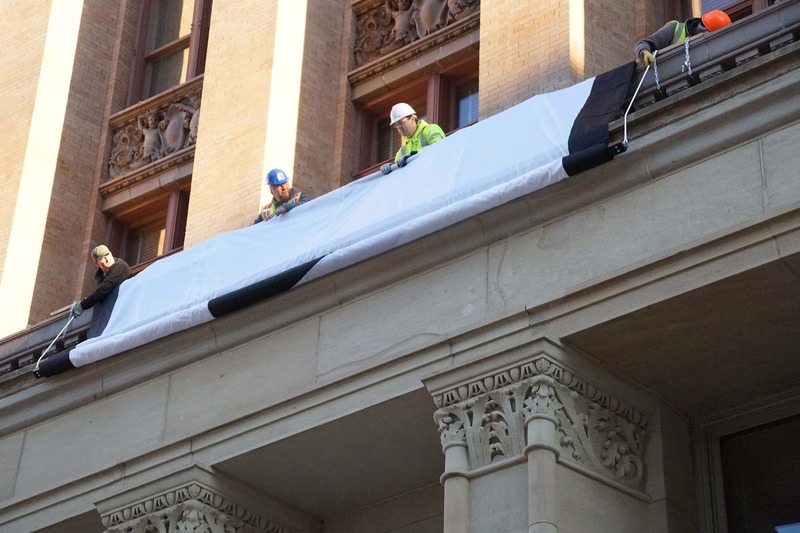 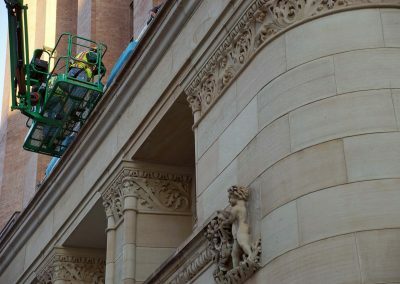 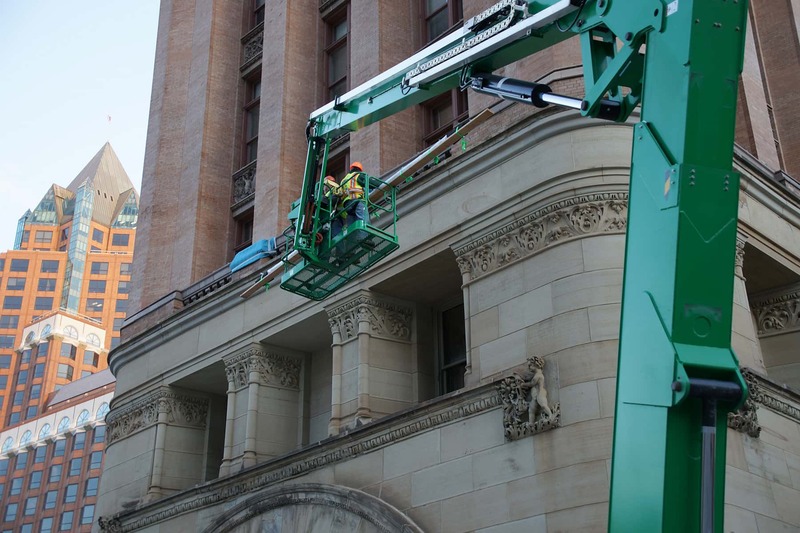 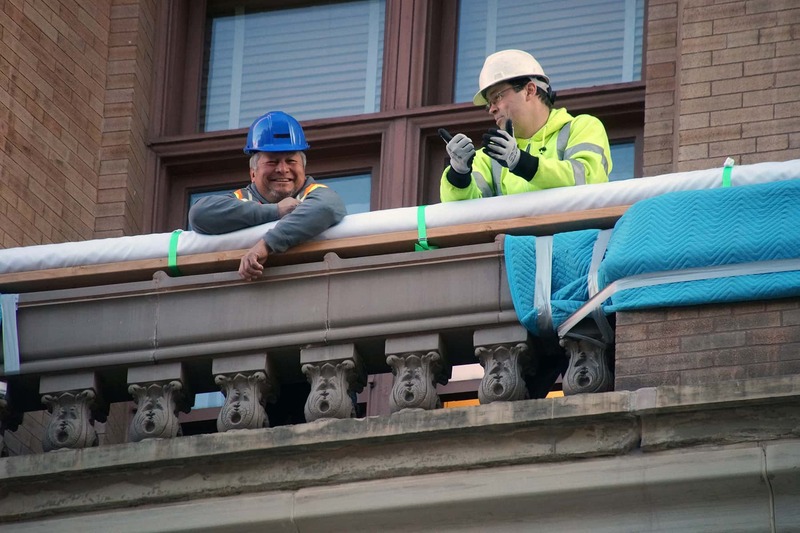 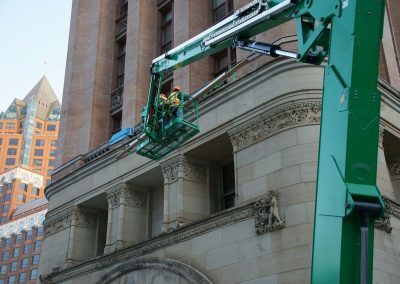 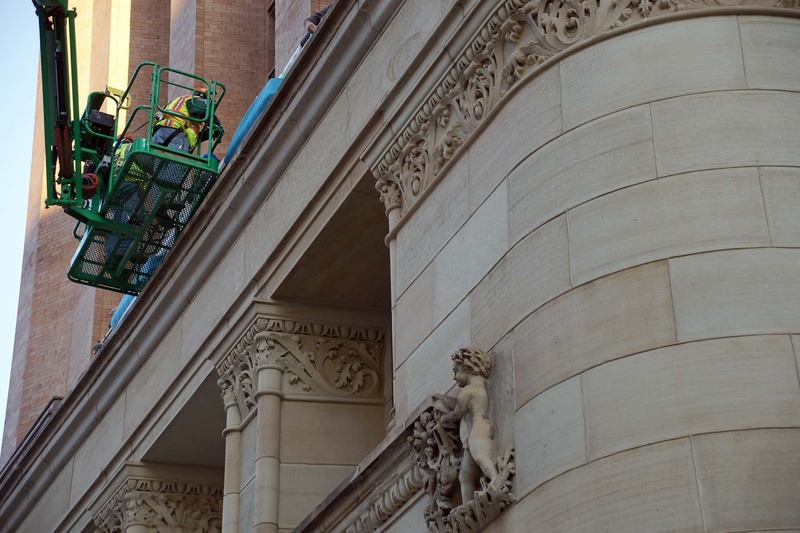 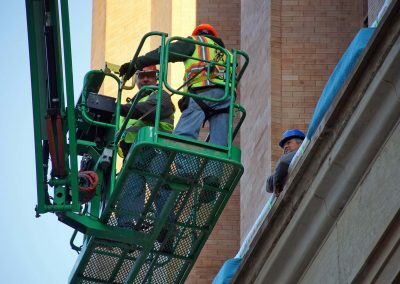 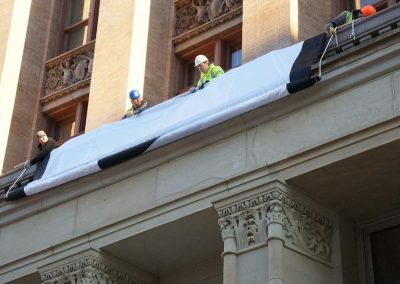 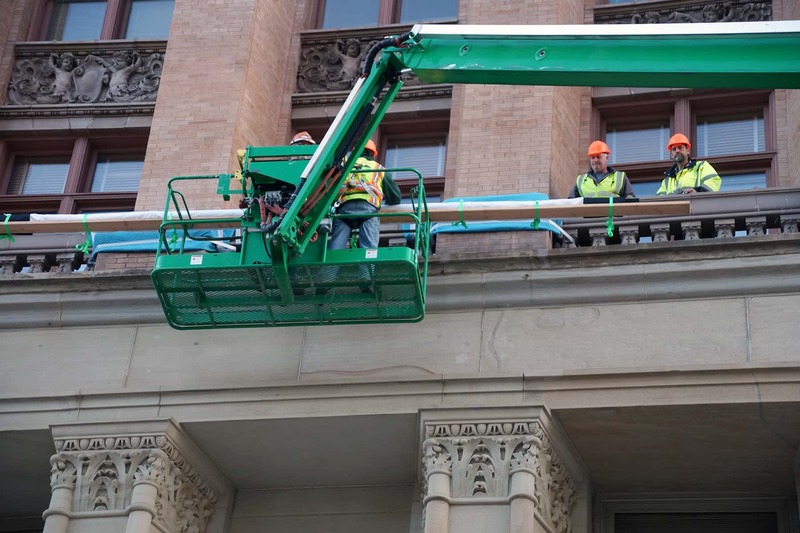 The 414 Flag measures 20’ x 36’ and was hung from the southern face of City Hall, with visibility from Water and Wells Streets. 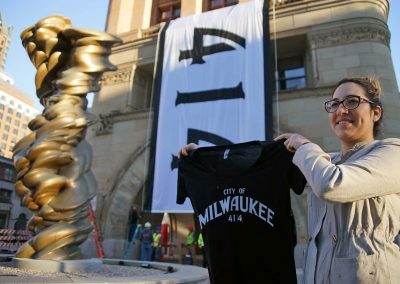 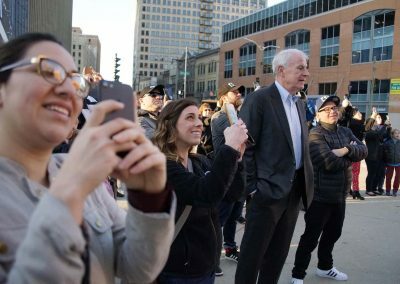 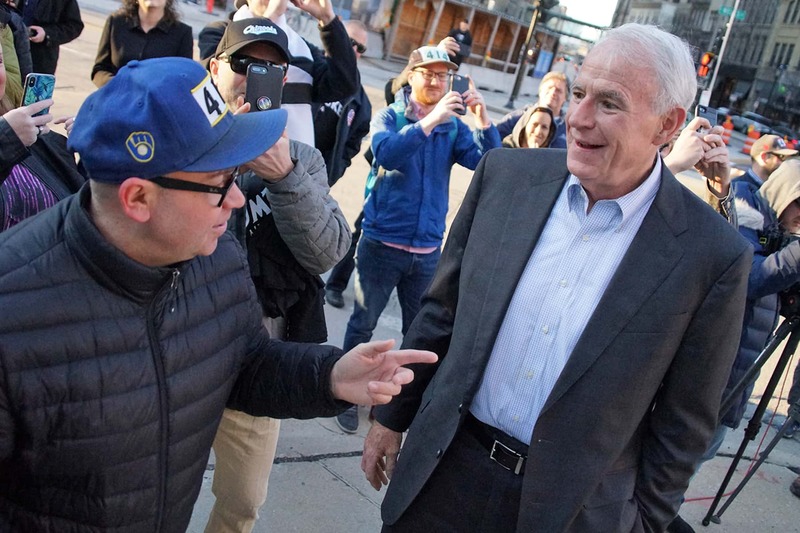 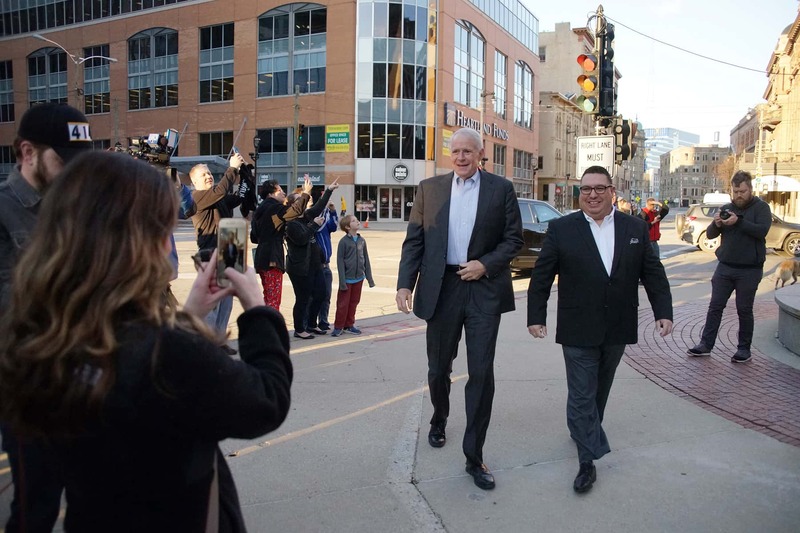 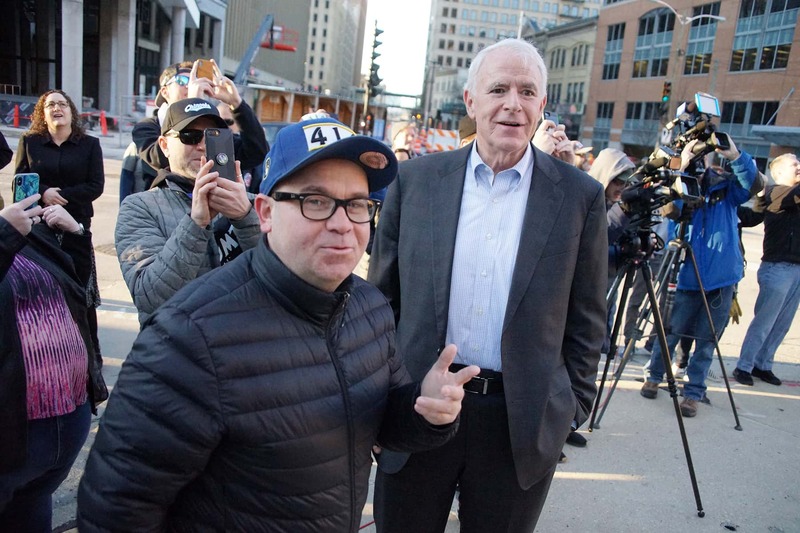 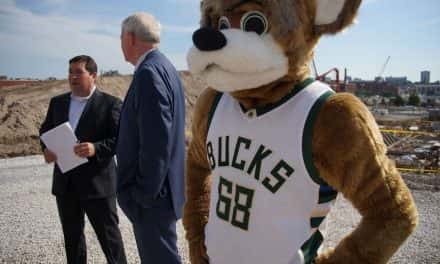 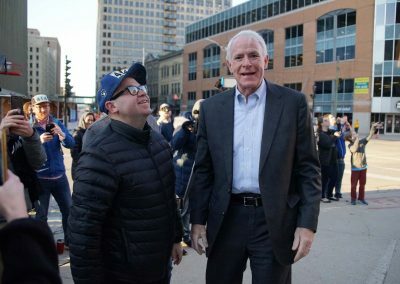 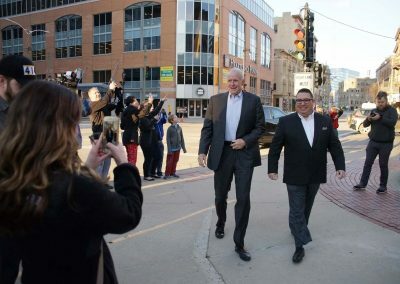 “I’m so proud of Milwaukee. 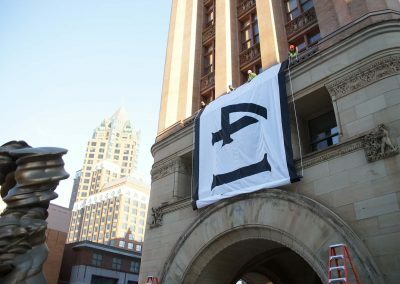 I can’t think of a better place to live. 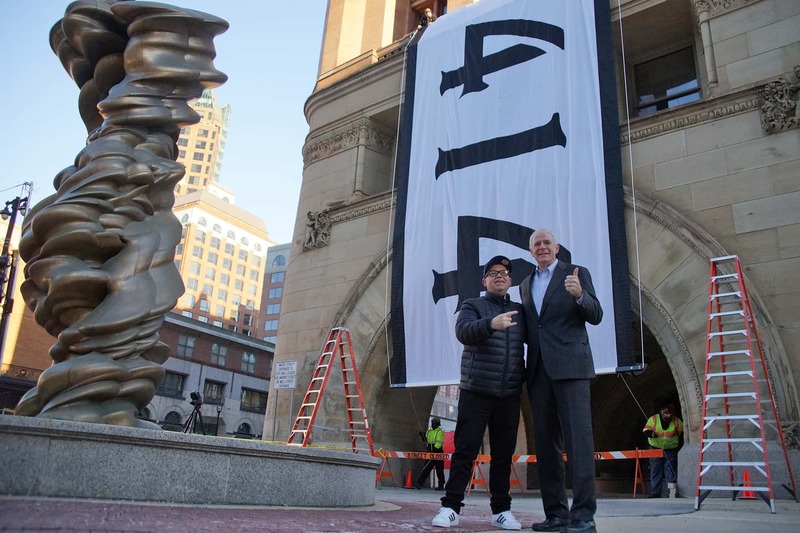 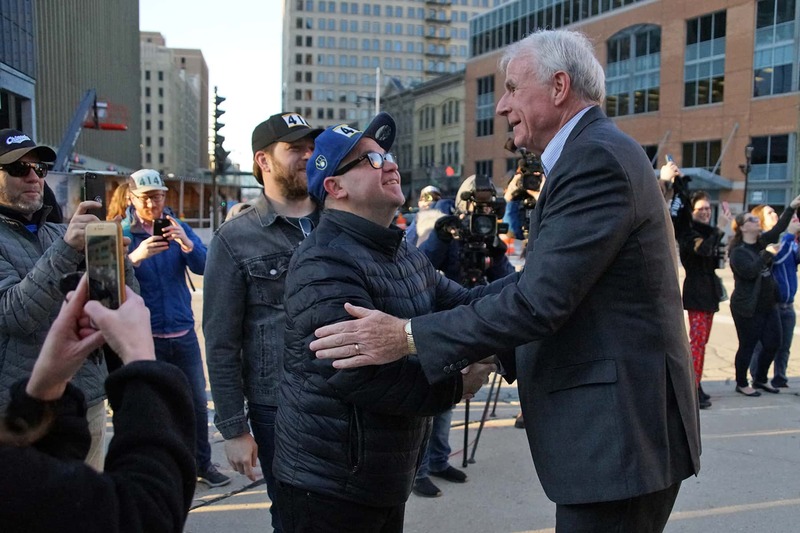 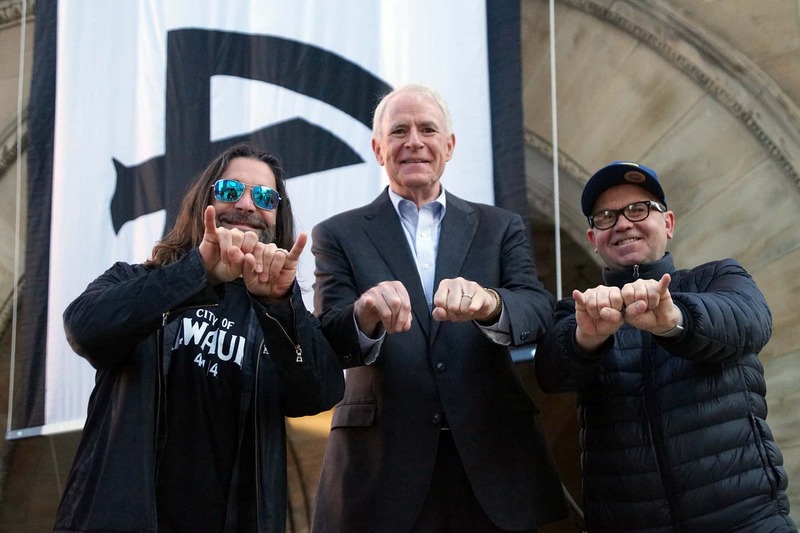 I’ve advocated for Milwaukee all of my life, and this flag is my contribution to the city of the future,” said Fred Gillich, 414 Milwaukee designer. 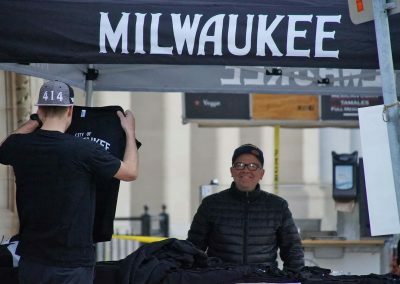 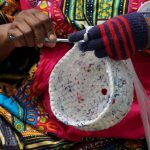 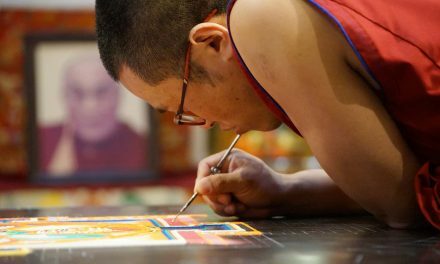 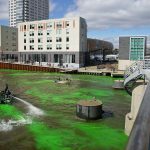 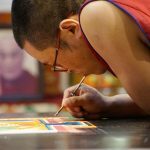 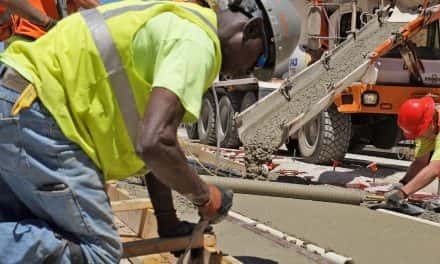 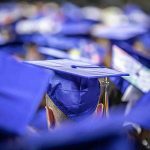 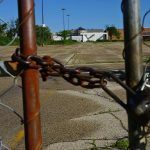 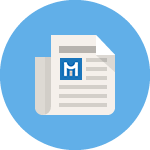 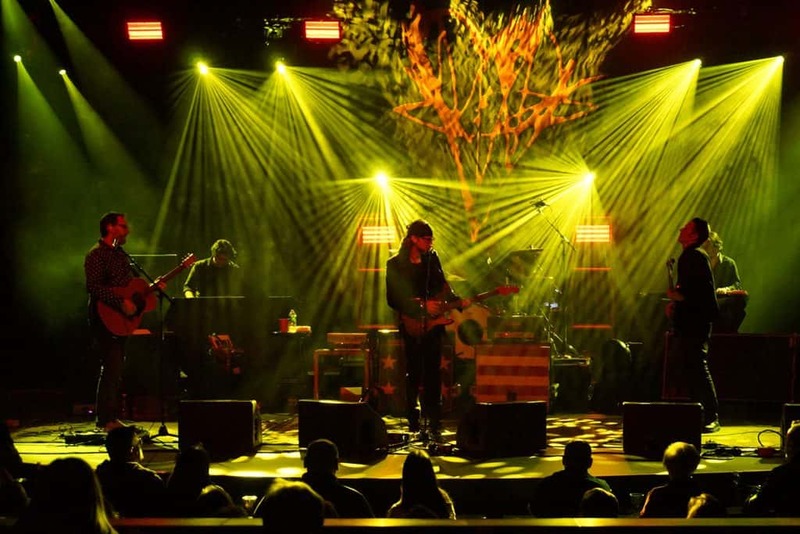 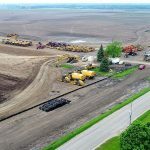 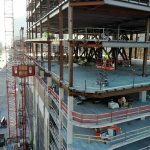 Various organizations are hosting Milwaukee Day events around the County, and a list can be found on the festival’s website. 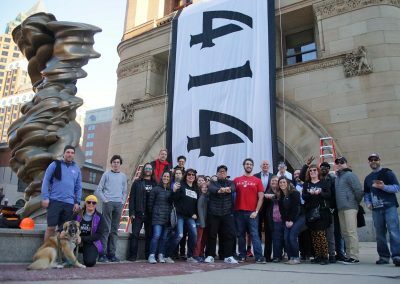 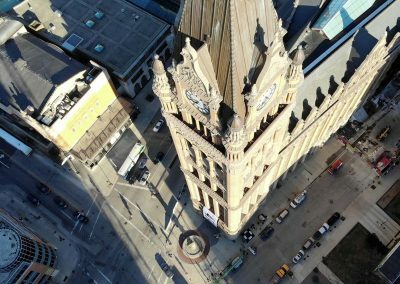 Milwaukeeans can participate by taking photographs in front of City Hall and the 414 Flag and tagging #414flag on their social networks. 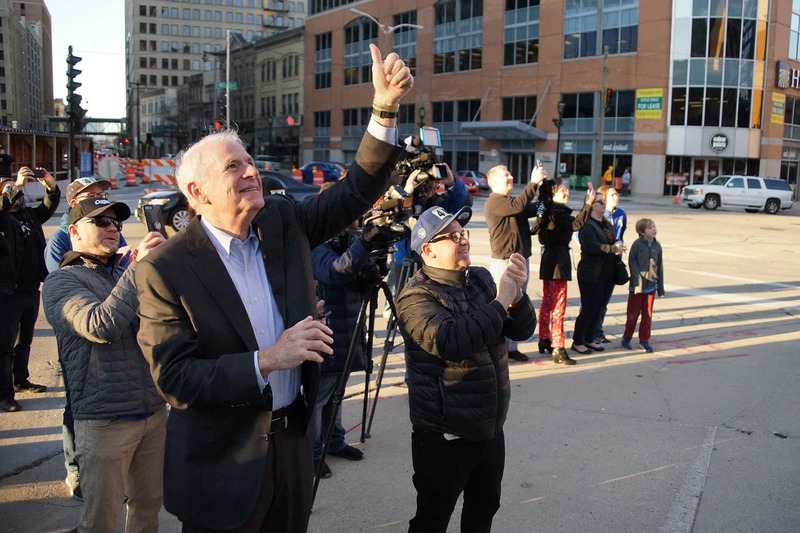 “Enjoy our parks, enjoy our rivers, enjoy our lakes, enjoy each other,” said Mayor Tom Barrett said. 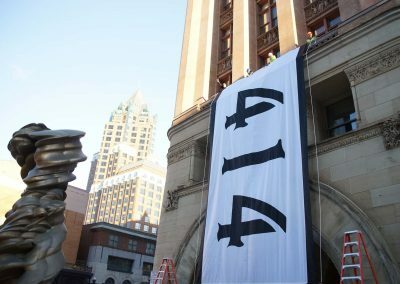 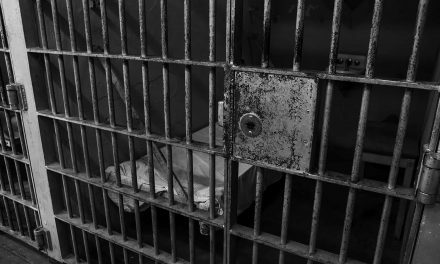 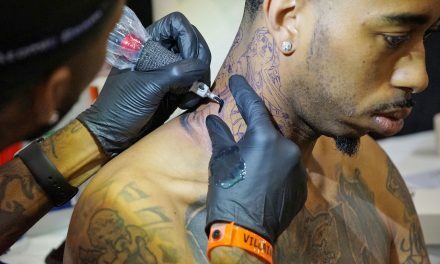 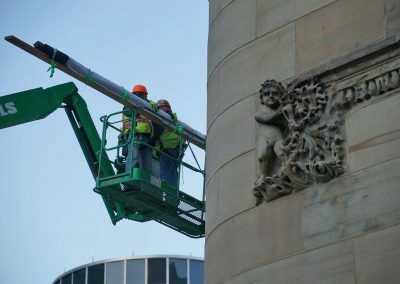 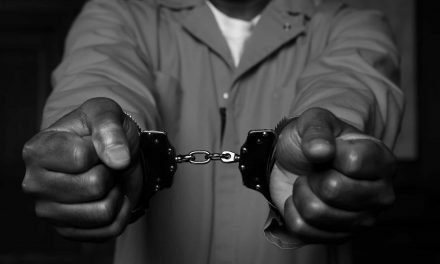 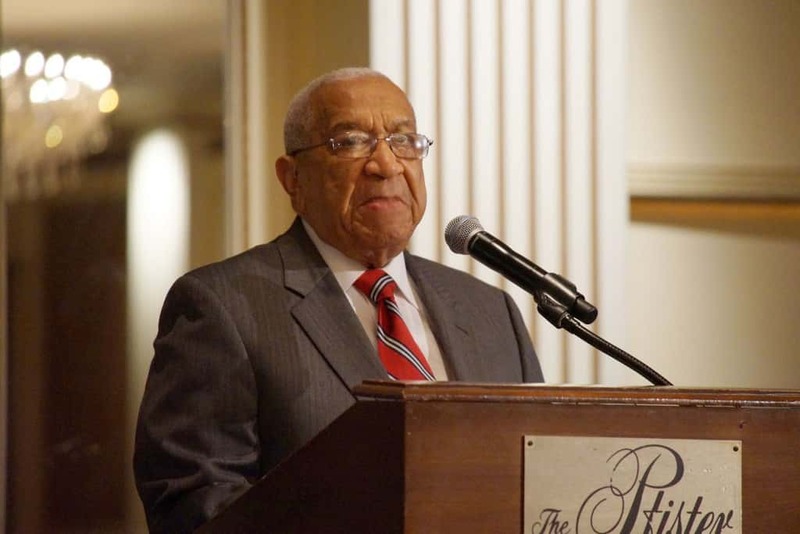 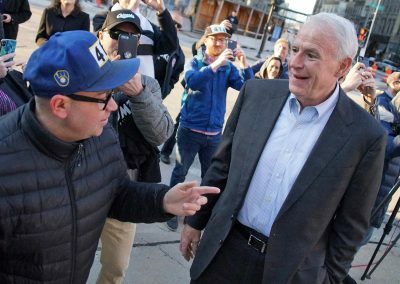 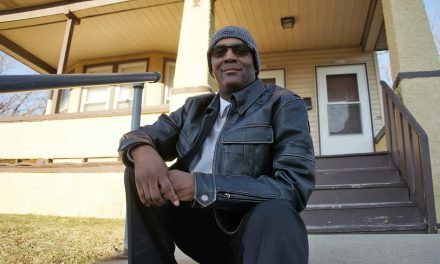 He encouraged the public to anything related to Milwaukee as a way to celebrate 4/14.